The AirPods, which look like the regular earbuds that come with iPhones and iPods except without a cord, were scheduled to sell in October. But according to an unnamed source quoted in a Wall Street Journal article, Apple is having problems getting sound to hit the twin earpieces at the same time. Most wireless earphones and earbuds receive a Bluetooth signal in one earpiece and then transmit it to the other. 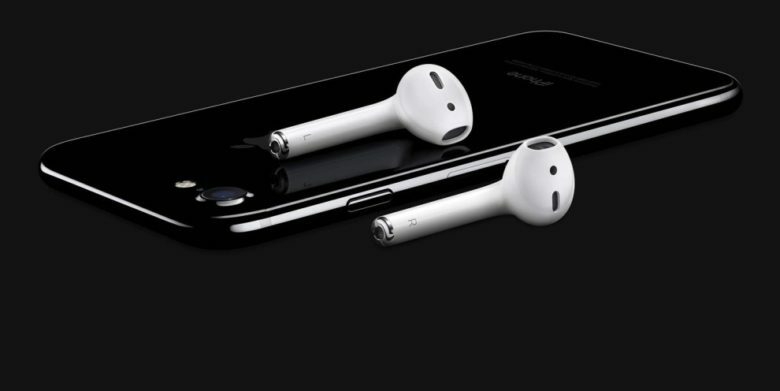 Apple, however, designed AirPods for each earpiece to receive independent signals from iPhones, iPods, iPads and Macs, the report said. The source also said Apple wants to resolve how to respond to customers when an AirPod battery dies or when a user loses one earpiece. The best parody of the AirPods was on the Conan show on TBS, which made a spoof commercial of silhouetted dancers moving to music on a mobile device, with the white AirPods the only visible detail. This was a re-creation of a popular ad Apple made for the iPod in the early 2000s, but in the Conan version, the AirPods fall out of the ears of the dancers. The Conan video, below, has racked up more than 1.6 million views on YouTube. This entry was posted in Apple news and tagged AirPods, apple. Bookmark the permalink.